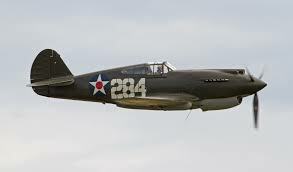 On May 25, 1942, an army pilot was landing a P-40F, (#41-13814), at Bridgeport Airport, when he misjudged the distance and undershot the runway. The landing gear was folded backwards when it struck an earthen bank at the end of the runway, causing the plane to hit the runway on its belly and slide to a stop. Although the plane suffered considerable damage, the pilot was uninjured.